HEre are some of the projects in East Africa that CanAssist is working on - or plans to start soon. Your donation can help us complete this work. The Hope For Youth School in Uganda has received support from CanAssist over the past several years and the students are doing well. The school now has a teachers' quarters which facilitates the hiring and retention of good teachers. Having affordable accommodation on site means that teachers can focus more on their students and their lessons. Currently we are in the process of building a new 4 classroom school structure on the property to replace the original school that has become quite dilapidated. Construction has just been completed on the third classroom and we are actively seeking funds for the fourth and final one. Your donation can help us finish this great school! 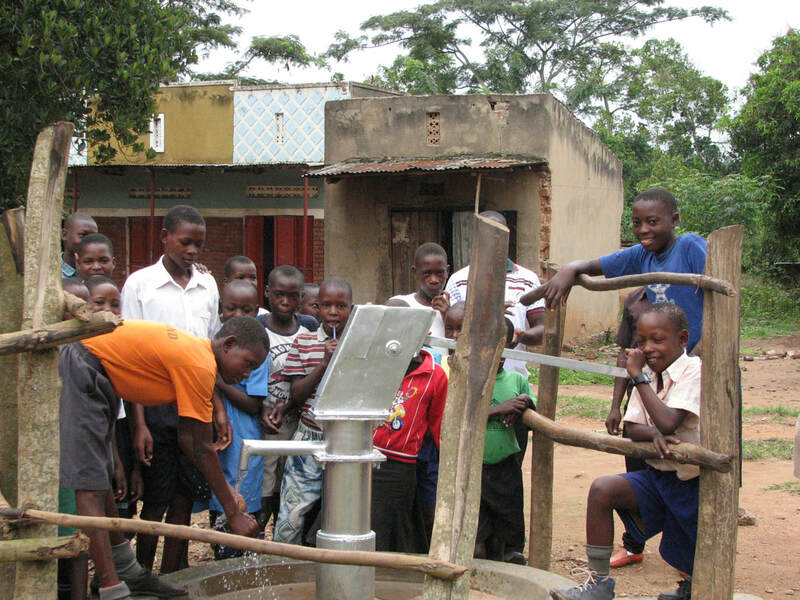 Canassist recently funded the repair of 5 borehole wells in the Mukono region of Uganda. These outdated community boreholes were in much need of repair as each well services 500-1000 people. Access to clean water is a basic human need which CanAssist is happy to support. We have just agreed to do a sixth repair and there are other communities waiting. With your help we CanAssist! 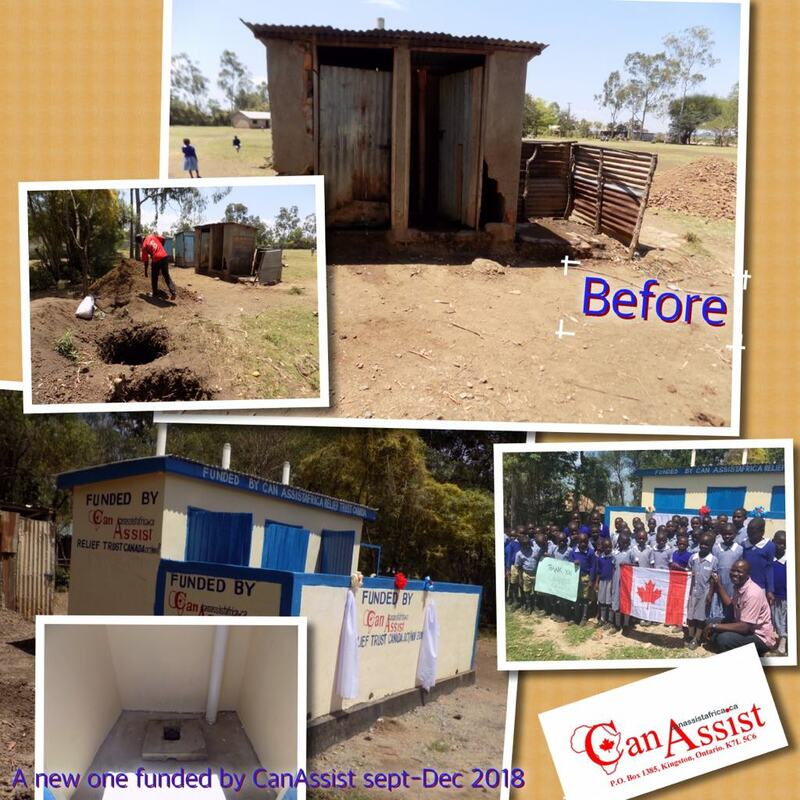 CanAssist recently funded the construction of a 4 door pit latrine at Ramula Secondary School in rural Kenya. The hard working students at this busy day school will now benefit from improved sanitation and improved health outcomes. WeCanAssist has also constructed a 3-door pit latrine at the S.P. Geddes School in Osiri Village, Kenya. The 150 students and staff at this rural school were desperately in need to a second latrine. We are currently seeking funds to build a two classroom structure at this school. Check the link to our Canada Helps site to donate now! CanAssist trustee, Nancy Grew and her son Adrian, recently visited the sports pad at St Catherine school in the Ramula District of Kenya. Nancy is pleased to report that a basketball program for both boys and girls has developed at this school as well as at the high school up the hill. The timing has been perfect as Nancy has learned that the government of Kenya has recently reformed the curriculum with an increased emphasis on Physical Education. Physical education provides obvious health benefits but also the advantages of learning teamwork skills (cooperation, strategy, teamwork, dealing with both winning and losing). Most students at St. Catherine School are eager to play and practices are watched by younger students waiting for their opportunity. The photo below highlights the historic community basketball tournament that was held at the school on the last weekend of Nancy's trip. Three local teams competed and good fun was had by all. We are currently collecting donations for the construction of a paved court at Ramula Secondary School. "Dr. Mary Drinkwater is working with a group of Maasai women in the rural Rift Valley of Kenya to start a Maasai Girls Vocational and Leadership Training Centre near Magadi, Kenya. In July, 2017, the title and focus of the project has been expanded to include youth and the broader community development. Recently Mary and her group completed this 2-door latrine, an essential requirement for this new school. The new title in the 'How to Donate' section is: Namayianha: Maasai Youth & Community Empowerment Centre - Kenya". CanAssist recently completed this teachers' quarters in rural Uganda. This three unit structure can now house three permanent teachers. The addition of electrical power means that teachers can mark papers and plan lessons into the evening hours. Secure on site housing means that the school can attract teachers to the area and entice them to stay. 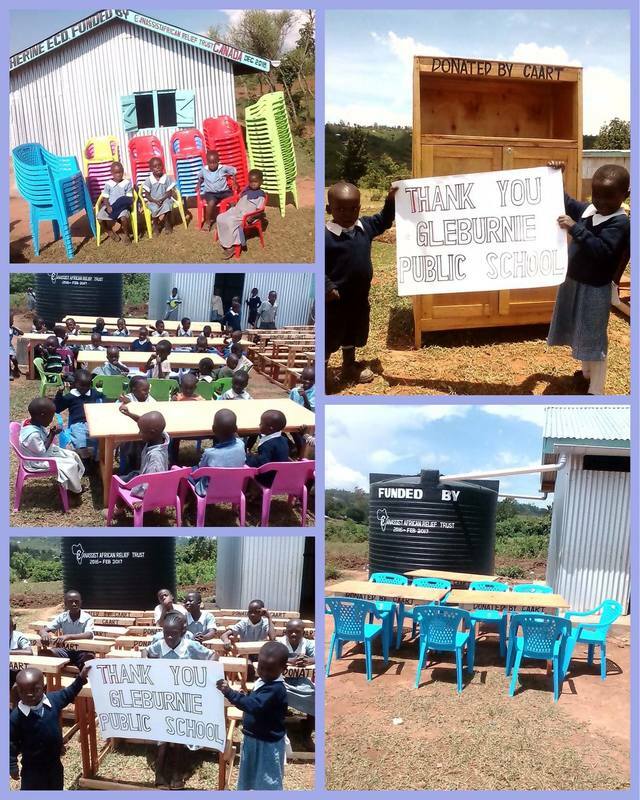 ​Here is an update from another high school in rural Kenya. The Nyalunya Secondary School was also in need of a new latrine. Logistics for this project were discussed when trustee, Nancy Grew, visited the school in May, 2018. The project is now complete and this infrastructure project will have a positive effect on the school and the school community. CanAssist has also constructed this pit latrine at the Obiaya school near Kisumu, Kenya. These before and after photos clearly show the positive impact. We are hoping to build a second latrine at this school for the 15 staff members. Currently over 300 students and 15 staff share the structure above. Additional facilities are needed. Upcoming projects include the an incinerator at the Olimai Clinic in Uganda, a two classroom block at the S.P. Geddes School in Kenya, blackboards and fencing at the St Catherine School in Kenya, the installation of a chained link perimeter fence at the Bwindi Community Hospital in Uganda, a 6 door pit latrine at the Hope School in Mbita, Kenya, additional guttering and water catchment at the Kaswanga Girls' School on Rusinga Island, Kenya, and the installation of a sports pad at Ramula Secondary. We continue to buy books, furnishings and supplies for several schools throughout the district. All of these projects need your support.